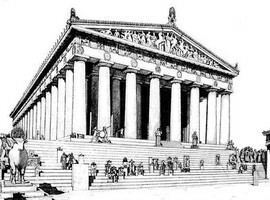 Located on the Athenian Acropolis, the Parthenon, built in 447 BC and completed in 438 BC, was dedicated to the Greek goddess Athena, considered a virgin patron by the lovely people of Athens. This creation was built at the height of power and rule of the Athenian Empire, and is probably considered to be one of the most important structures still standing in preservation today. 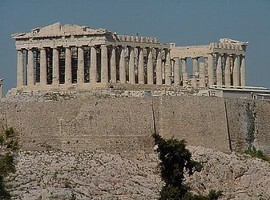 In the following paragraphs, you will discover some important secrets about this fascinating structure, as well as why the Parthenon Architecture is still a main focal point for many who have been studying the structures located on the Acropolis. 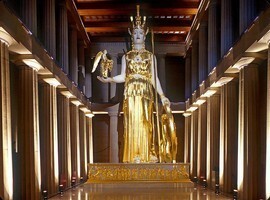 When planning to visit any wonderful location in Greece, the main idea is to come away with more than when you arrived. Well, this will surely be the case when visiting The Parthenon of Athens in Greece. 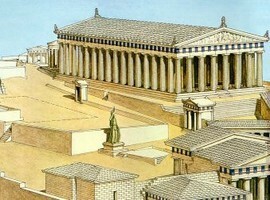 You may not have known, but the actual structure was built upon a previous structure referred to as the Pre or Old Parthenon. Because of its demise in 480 BC by the Persian invasion, the new structure was built. Something else you may not have known is that with many of the temples in this location, this particular structure was also archaeoastronomically aligned with the star cluster of the Hyades. This fascinating Doric Temple also served a variety of different purposes over the centuries. 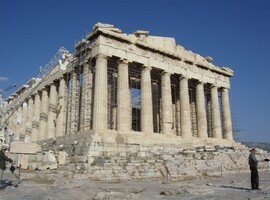 In fact, it was originally used as a treasury for the Athenian Empire. In addition, it was used as a Christian church, a mosque, and even an ammunition dump. In or around 1687, the ammunition dump located within was ignited as a result of a Venetian bombardment. The resulting explosion had severely damaged this once very beautiful structure as well as many of the sculptures located within. In 1806, many of the surviving pieces were removed by the seventh Earl of Elgin, Thomas Bruce. Many of the sculptures, now known as the Elgin marbles, were sold to a British museum where they reside today. 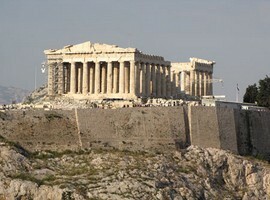 When visiting this iconic Doric temple, you will discover much more than a simple structure that was built in 438 BC. Great care, sweat, and hard work had to be used to carve and create the 92 Metopes (marble panels) that were placed in high relief. This was a practice that was only used on treasuries of the time to provide votive gifts to the adored yet misunderstood Gods of the time. 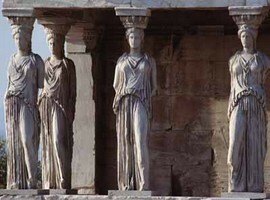 Although you will discover much more about the amazing structures of the Acropolis, these important facts will prove to be quite interesting. As mentioned before, a visit to Athens would not be complete unless you’ve taken a little time to explore the wonders of the Athenian Acropolis. 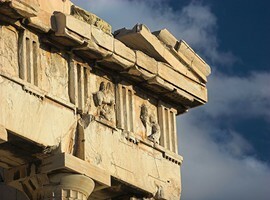 This also means taking some time to learn more about the Parthenon of Athens in Greece, its destruction, and the sheer fascination that this mystical structure offers.